Tragedy for the purposes of this list does not mean films that are very sad. 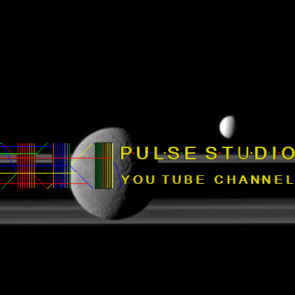 Rather the films selected explore themes associated with Greek and sometime Shakespearian Tragedy. Throughout this list, philosophers and theorists of the tragic have been cited. This use of theory to discern what is properly tragic is controversial. Raymond Williams for instance argued that the tragic was not an elite experience but rather one that evolved to incorporate modernity itself, including ordinary experiences of sadness and alienation. Terry Eagleton, a literary theorist, argues that perhaps the only workable definition of tragedy is very sad. However, why then not do a list of very sad films? Why use the term tragic at all? For this list, the films evoke more philosophic conceptions simply to distinguish the tragic from the sad, which is not intended to be an absolute distinction. The list does not include tragic TV series such as The Wire—which was inspired by the idea of postmodern tragedy where bureaucracy functions as the inescapable and undefeatable necessity sanctioned by the Gods—and Breaking Bad—which seems to frame the transformation of the anti-hero into a tyrant. According to GWF Hegel there is nothing more tragic than a conflict between two rights, where characters come into conflict who both embody conceptions of what the right thing to do is. For Hegel, justice in tragedy comes at the price of injustice. 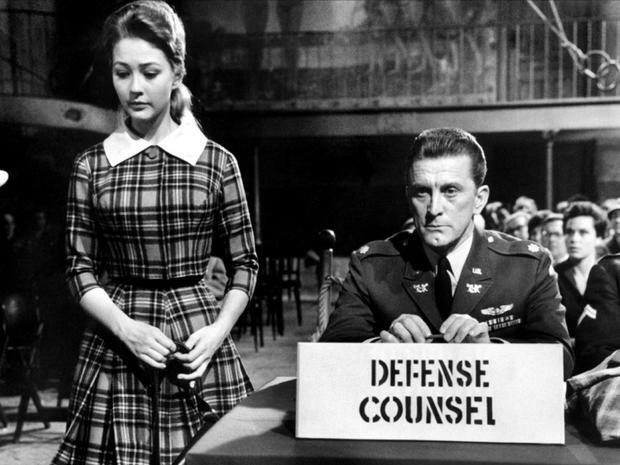 When a 16 year old woman, Karin Steinhof, is raped by American soldiers during the US occupation of Germany, a conflict arises for Steve Garrett played by Kirk Douglas. He must defend these men even though he knows they are guilty. Initially he tries to bargain that the men will admit their guilt and serve their time provided they are spared the death penalty. He does not wish to see them die. When that fails he tries to convince Karin’s father, Karl Steinhoff to drop the charges. Garrett discerns the greys but saves the men at the expense of Karin Steinhof, destroying her account on the witness stand. The town horrifically condemns Karin Steinhof, insinuating that she invited the attention of the soldiers and while Garrett attempts to help her his loyalties are with the accused. The court at the end of the trial, with Karin Steinhof’s withdrawal from the process, can no longer execute the men. But the court, taking the place of the chorus dishonorably discharges the soldiers and sentences them to prison for their horrific crime. A journalist reporting the events initially despises Garrett but comes to recognize his dilemma. Hegel framed the conflict of right largely through ancient tragedy, particularly Antigone where Antigone represents the family and Creon the law. With modern tragedy the divided self becomes paramount according to Hegel. As such characters in modern tragedy can no longer have clear convictions. Rather their will drives them forward even when their beliefs undergo doubt. But the tragedy is of course more than Garrett’s tragedy. It is Karin Steinhof’s tragedy most of all. Caught in fate’s clutches, tragic notions of destiny are reconfigured along gendered lines. Unfortunately the film, while showing the very real consequences for Karin Steinhof who commits suicide, often switches focus to the tragedy of deciding between rights as well as the cruelty of the town. Both Yorgos Lanthimos’ The Killing of a Sacred Deer and David Cronenberg’s A History of Violence explore the notion of being punished for past crimes and the notion of familial guilt. 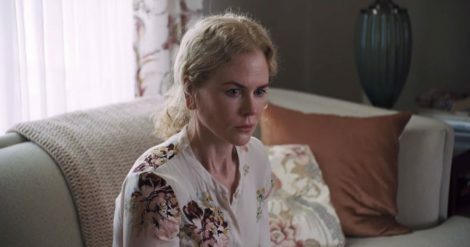 In the former case, The Killing of a Sacred Deer is a sort of reinterpretation and reworking of Euripides Iphigenia in Aulis. When a surgeon kills a boy’s father on the operating table, the boy gives him the alternative of killing one of his family members: either son, daughter or wife, or otherwise watching them die from a mysterious illness brought about by his curse. According to George Steiner, tragedy entails people being punished in excess of their guilt. We never know exactly how culpable the protagonist is. Steiner states that tragedy concerns dark and mysterious forces that torment humanity for sport. Such seems to be the implication of The Killing of a Sacred Deer as the crimes of the father affect the children and his wife. This notion of predestined suffering is a thematic common in Greek tragedy and although Shakespearian tragedy often suggests that fate may well be superstition, there is nevertheless lip-service to predestination and fate. A History of Violence doesn’t quite go down the Steinerian path, but it does convey a sense of inescapable reckoning associated with Greek and Shakespearean tragedy. A History of Violence follows Tom Stall works in a dinner. When the diner is robbed, he kills both robbers, defending waitress’ life. Gaining media recognition, Tom who had previously been involved in gangs must defend his family from them. Indeed, he must even kills his mobster-brother to do so. In Greek tragedy, one’s crimes as with Oedipus, inevitably catch-up with the protagonist who suffers until he or she, through a ritual act of transgressive suffering or violence, can be cleansed. Although Aristotle’s catharsis has been hotly disputed with perhaps the most credible translation of the word being clarification rather than cleansing, purification or purgation, the possibly misinformed lexicology has generated a productive way of interpreting tragedy that is perhaps truer than the account proffered in the Poetics. Moreover, the conflict within the family and the notion of violent redemption is key to so many tragedies including the Oresteia. According to Jean-Pierre Vernant and Pierre Vidal-Naquet in their masterful study, Myth and Tragedy in Ancient Greece, Greek tragedy problematizes the notion of the mythic hero. Greek tragedies wee reproduced in democratic Athens and as such they reflect, so the scholars argue, an ambivalence to the cult of the hero. Greek myth shows how rulers and heroes established and defended city-states and Greek Tragedy similarly honors them for their service. However, as the tragic hero is often a tyrant, the hero poses a threat to democracy. 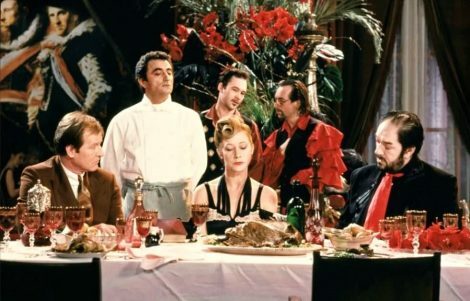 Peter Greenaway turns ambivalence into denunciation, taking motives associated with tragic narratives such as revenge and cannibalism as well as cruel justice, to examine Thatcherite Britain. Greenaway himself has said that the film is a parable but more than just a parable of Thatcherism. The film concerns a mobster, the thief who murder’s his wife’s lover. In vengeance, the wife kills the thief but not before forcing him to eat a piece of her dead lover. How, one may ask, is this a parable for capitalism without limits? Well, the thief is clearly an image of a businessman, indeed a criminal businessman, and mobsters have long been associated with corporate CEOs. He further acts cruelly to the poor and the unfortunate and represents the cruelty of the world and also the capitalist system. Borrowing from a Shakespearian framing of villainy, there is no ambiguity to the thief’s villainy, only a figure driven by appetite. Kurosawa’s Throne of Blood is possibly the greatest cinematic adaptation of Shakespeare ever made while also reworking the story in a radically different way. The film opens with fog and dark mountains and mounds of barren earth, accompanied by the sound of people singing “Look upon the ruins of the castle of delusion. Haunted only now by the spirits of those who perished. 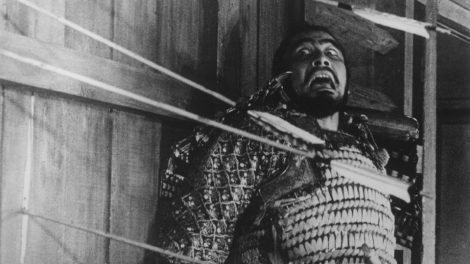 A scene of carnage.” Whereas Macbeth concerns time being out of joint, hurried and frenzied, there is a sense in Throne of Blood that the only thing constant is time itself, and that human beings and their desires are transient hauntings that disappear of their own hubris. Hegel in his description of tragedy claims that tragic personages perish and become ‘shadowy-picture thoughts’, almost forgotten. He argues that tragic heroes are wrong to trust divination, the utterances of Gods, the spirits and witches. Accordingly, divine knowledge lies: it is true but deceptively true—just as the Macbethian protagonist in Throne of Blood discovers. There is a temptation to read Throne of Blood along the contours of the Shakespearian reformulation of the tragic flaw of the protagonist, namely ambition. But there is another, non-Aristotelian way of understanding Throne of Blood. According to Friedrich Nietzsche in a footnote in his work, The Case of Wagner, the tragic does not concern tragic action but is rather a type of ritual establishing a sense of place through a sacred story of suffering. Is this not the very opening of Throne of Blood? The emphasis on place is very evident in Lars von Trier’s great exploration of sublime horror. 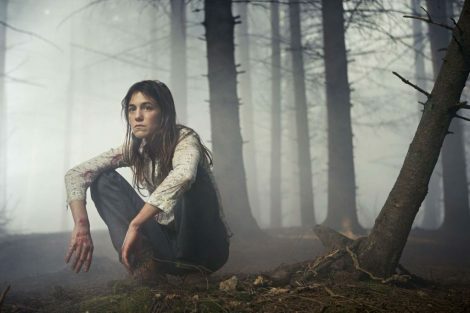 Antichrist is about a couple, known only as He and She, who after the loss of their son retreat to a cabin in the woods, theologically named Eden. There is a strong sense that they are returning to some sort of primal world inhabited by destructive spirits. He has taken her to the cabin to help her deal with her grief, and represents a masculinist rendition of reason. She allies herself with the destructiveness of nature and its cycles, warning that she and by extension nature are evil. When he ignores her warnings, she castrates him. He eventually believes she is a witch and burns her body. 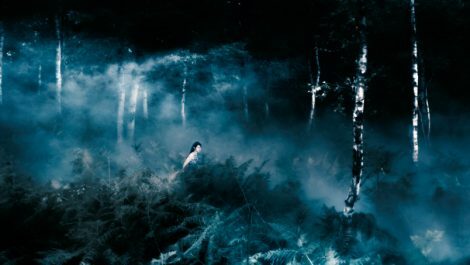 At the end of the film, he wonders through the woods, eating berries and then witnesses faceless women walking either side of him. The ending could suggest that he is condemned but another interpretation is that by killing She, he has purged woman and by extension nature of the evil attributed to it. From this reading, she becomes a tragic scape-goat, that like the tragic hero, accepts her destiny as a sort of purifying sacrifice. Still another reading would hold that He is purged of his tyrannical reason and now open to the scary, pagan properties of both women and nature. Certainly, according to Nietzsche’s The Birth of Tragedy, the hero must be humbled and negated before he can be rid of his painful individuality and return to the earth mother, via a Dionysian ritual. Agnès Varda’s Vagabond recasts contingency as fate as we witness Mona’s dead body from the start and come to frame her death as both fated and unjust. Following Mona, a drifter, we come to experience the idea that Heidegger claimed was so present in Sophoclean tragedies such as Oedipus, of the human being as without a home. Could her condition be interpreted as new rendition of a tragic outcast? 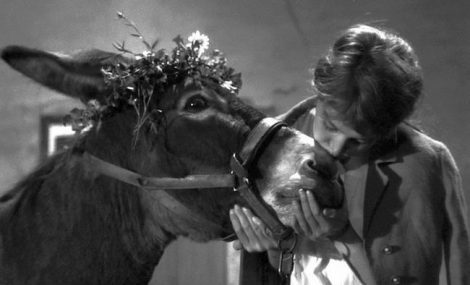 Au Hasard Balthazar follows both a girl living in a rural township and a donkey, that suffer as martyrs. The director, Robert Bresson was an atheist catholic, meaning that he believed in an earthly transcendence. According to the philosopher Arthur Schopenhauer, tragedy encourages resignation and dignity amid the many injustices of life and living—according to Schopenhauer, existence is suffering, in an observation that reconciles atheism, Buddhism and Christian notions of original sin. Yet tragedy allows us to see suffering and in a sense transcend it through being resigned to life. The donkey is framed by Bresson as a saint and martyr, who transcends much of the baseness of human degradation. Bresson’s film is one of the greatest eveer made. Aristotle is often misattributed as claiming that the hero suffered from a fatal flaw. Rather Hamartia, the term he used, simply meant mistake. This mistake could be minor but have a huge consequence. Elevator to the Gallows concerns how mistakes can ruin otherwise perfect plans. The film follows a man, Julien Tavernier, who is in a loving relationship with his boss’ wife, Florence Carala. But it is not for this reason that he murders his boss and makes it resemble a suicide. His boss is a brute who profits from war and, as Julien states, deserves to die. Things go smoothly for Julien until he realizes he has left a grappling hook hanging from his boss’s window. He goes back and then becomes stuck in the elevator. What appears an easily remedied mistake, establishes a chain of errors with a tragic outcome, one that affects Florence. Stuck in the elevator, Julien does not know that his car has been stolen by two youthful lovers and has no way to communicate his entrapment in the elevator to Florence. Florence desperately waits for Julien, but sees a youthful woman drive past in Julien’s car and mistakes the man for Julien. 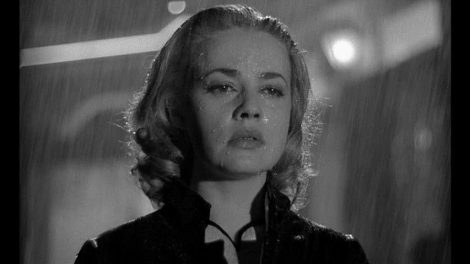 This mistake of identification seals her fate in a gripping noir, directed by Louis Malle (his debut feature) and a score by Miles Davis—one of the most tragic scores ever composed. Martha C Naussbaum frames tragedy as concerning moral luck. Moral luck operates in a number of ways but concerns how our morality is affected by circumstance and chance. For Nussbaum, goodness is fragile and can seem damaged by luck or undermined. 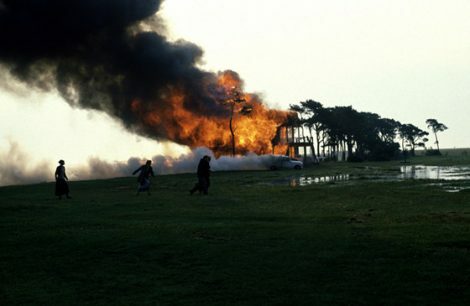 The great misfortune is that the protagonist of The Mist kills his family to protect them from a fate worse than death only to discover that he and his family were only moments away from safety and rescue. Not having a bullet left, he must live through the guilt. His noble sacrifice for his family perversely turns via a tragic irony into a gesture that condemns both them and himself. Pasolini’s Medea isn’t true to Euripides’ play in many respects but it accentuates a theme present though more pronounced in The Bacchae, namely the irrational qualities of the divine. Though Nietzsche was no admirer of Euripides, distrusting Euripidean irony, Pasolini’s rendition largely empties the plot of irony and instead suggests a frenzied sense of becoming and affirmation associated with Nietzsche’s take on tragedy. Nietzsche argued that tragedy was an antidote to rationalism where suffering was enjoyed as a type of intoxicating spectacle. Such an experience is conveyed by a dying Medea as she joyfully condemns Jason. Lars von Trier’s Medea could not be more different but still stays true to Euripides. Philosophers such as Schelling, Hegel and Nietzsche viewed Euripides as polluting the power of tragedy. For them Euripides was too modern and ahead of his time and therefore his works neither fit in today or belong to antiquity. Yet this modern quality is extracted and brought to the surface by von Trier who shows Medea as experiencing the agonies of the modern, conflicted self. She experiences not merely regret or sadness but a revulsion and disgust at her acts. It is because Euripides is such a problematic tragedian that his works are perhaps most suited to modern reinterpretation. Andrei Tarkovsky’s final film evokes a sense of atmosphere and mood as well as a tragic choice. The Sacrifice is about a choice Alexander, an atheist makes, to believe in God in order to prevent war. Surrounded by his loving family, news breaks that a nuclear war appears imminent, one that will destroy the earth. He prays to God, and asks that if God can provide some way to save his family and the world, he will burn down his house and leave his family forever. He learns of a good witch whom he sleeps with in hope that she will, as per his bargain with God, prevent the destruction of everything he holds dear. When he wakes up, and everything appears as it was before the announcement, he burns down his house and runs away from his family. The film provides a sort of synthesis between the idea of the leap of, toward and into faith with tragic sacrifice. According to Kierkegaard, an act of faith is distinct from the tragic protagonist’s choice between two rights For Kierkegaard, the tragic hero’s acts have a social justification, but a sacrifice made of faith goes against any social justification. 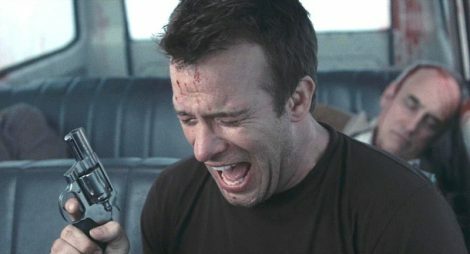 Hence, the film envisions a sort of meta-tragic position where the only way the protagonist can preserve himself is through destroying himself, losing his familial vestiges and support and bringing himself directly in relation to the divine over and above social morality. Slavoj Žižek has described the overlap of tragic concerns with Kierkegaardian sacrifice as a meta-tragic situation. The Sacrifice is then meta-tragic. But such analysis could obscure an appreciation of the atmosphere of the film, which is arguably fuses Heidegger and Nietzsche’s analysis of tragedy. As previously mentioned, according to Nietzsche, tragedy is a sort of sacred rite, a happening not a doing. Rather than a narrative or a work of drama, tragedy is a sacred unfolding of place, a sort of disclosure about humanity’s oneness through suffering with a location. Heidegger asserts that tragedy reveals that the human being has no place, that the home is an illusion and that nature and the world are violent. Moreover, Heidegger argues that humanity is a violence on the earth and particularly draws attention to technology’s destructive power. Given the inciting incident is nuclear annihilation this film captures the strangeness of the world.